We truly believe that the hard work you put into studying the question database will help you achieve personal success. Below, you will find a small snapshot of the many people who found OphthoQuestions to be a valuable resource. This feedback makes it all worth the considerable effort it takes to maintain an educational website of this quality. Note: privacy was respected when requested for all testimonials. 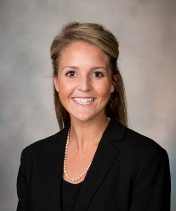 "As a third year resident, I use OphthoQuestions because it is the highest-yield resource for OKAP studying. I have found that the questions not only test your knowledge, but the explanations are excellent and help you learn as well. The comment section is a fantastic resource because other test takers share mnemonics and helpful tips. I have found that the questions are very accurate and cover much of the BCSC. I recommend OphthoQuestions to every resident studying for the OKAPs and I will continue to use it next year for the WQE." "I have noticed that residents that are more active on OphthoQuestions do better on the OKAPs. We highly encourage our residents to do as many questions on OpthoQuestions as possible." I failed my boards the first time around. By the grace of God I passed the second time. I studied hard and prayed hard for this result. It is my firm belief that discovering and using ophthoquestions was the manner in which this prayer was answered. Thank you for a great product, and for what I believe made a huge difference for me in passing the second time around. There are few products that have had such a profound effect in improving the quality of my life and my family's life - now they get me "back" on the weekends." "I would like to thank you for a wonderful source of practice testing. It was the most important part of my studying for the written boards. I passed! Most greatful to all who contributed to this web-site!!!" "I've been using your website more lately as the OKAP crunch approaches and I just wanted to say that this resource is AMAZING. Thank you so much for providing us access." "Did poorly on OKAPs all three times, failed the WQE three years ago, and it wasn't close. Kind of dodged retaking the test out of fear. Found out yesterday that I PASSED THAT DAMNED TEST!!! There is zero doubt in my mind that it is 100% due to me using your question bank. I want you to know that the work that you have done has dramatically improved my life, and by direct extension, my family's lives. Thank you, Thank You, THANK YOU!!!" "My OKAP score improved 54 percentage points! I went from the 19th to 73th percentile." "I started using your website to study for the last OKAP and my score went up 30 percentile points (57th to 87th). The only thing I changed from the previous year was using your website. I really couldn't be happier. I am using it now to study for the written boards when I have a little spare time so I won't have so much to do when it gets closer. Again, thank you for a great resource and I am telling everyone that this website is essential if you want to do well on the OKAPs!" "I've received by board scores (Passed!!!) Also my percentile was higher than any of my OKAP percentiles. My anecdotal experience was that OphthoQuestions was the main reason for this. It was essentially my lone study tool." "I did miserably on my OKAPs with percentile scores of 12, 20, and 22 during my first, second, and third years of residency respectively. Then I studied for my WQE using primarily OphthoQuestions and I passed with a 47th percentile! I couldn't have passed without OphthoQuestions!" "I passed the boards!!! Thanks Ophthoquestions!" "I just want to thank you guys! I did not do great on the OKAPS and received 84% on the WQE. I did almost all your questions and it paid off. Thank God. Thanks again." "I just wanted to say thank you to everyone at OphthoQuestions for providing this service. I failed the WQE the first time through and my score was the 25th percentile and was really stressed about taking the exam again. I feel like I studied the same amount of time this year (almost exclusively using your website). I scored the 89th percentile the second time around with your help. THANK YOU!!!" "I got my ABO WQE score yesterday. I want to thank Ophtho questions for putting up an excellent review source for the boards. It was extremely helpful." "I can assure you that I felt better prepared because of this questions bank. Everyone in my program loved it! We are definitely going to be using it next year -- thank you! Just wanted to let you know it felt helpful!"